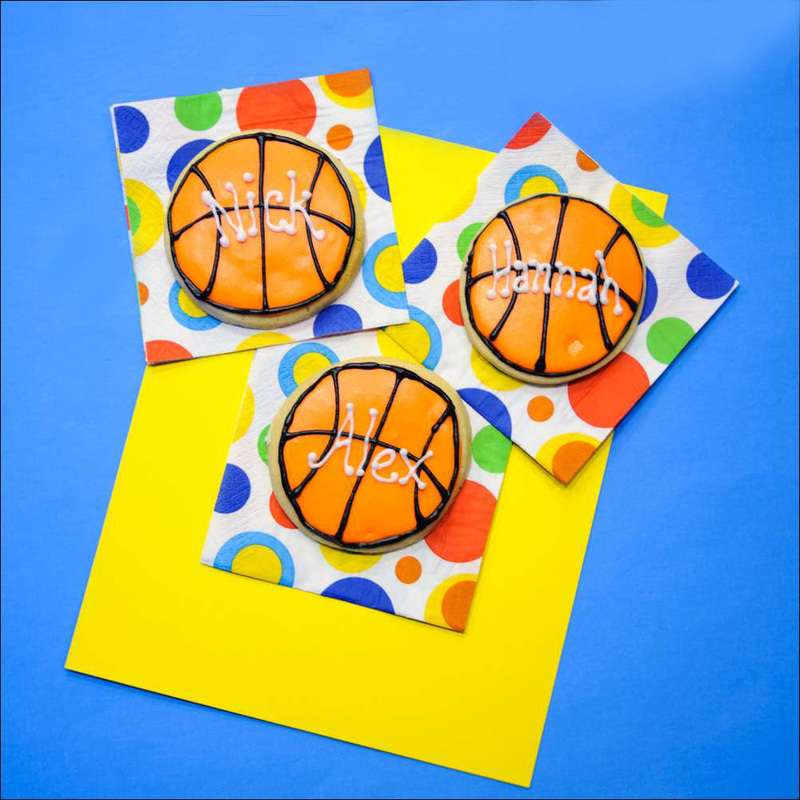 March Madness Personalized Basketball Cookies! Here we go…Get those brackets filled out!! 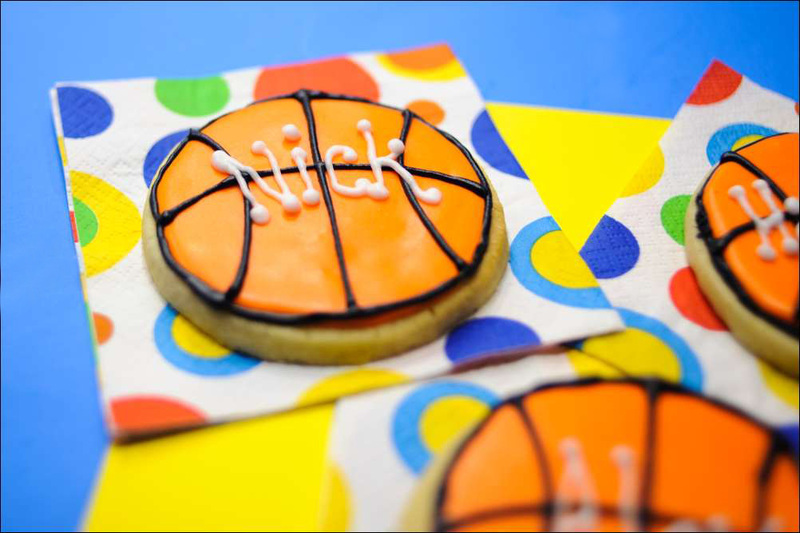 My kids’ seasons on the hardwood are winding down and what better way to wrap ’em up than with personalized frosted sugar cookies! 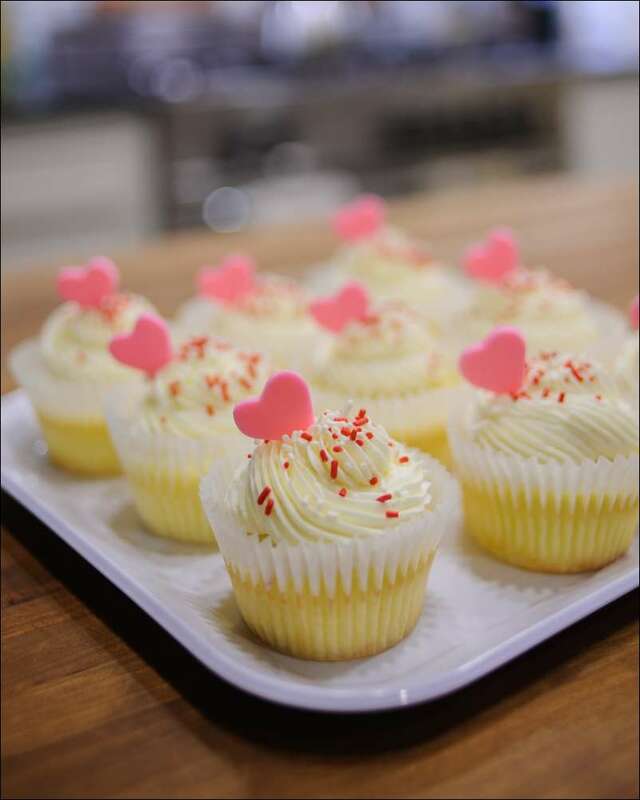 These buttery vanilla cookies have a hint of lemon and are frosted with a smooth meringue powder buttercream. 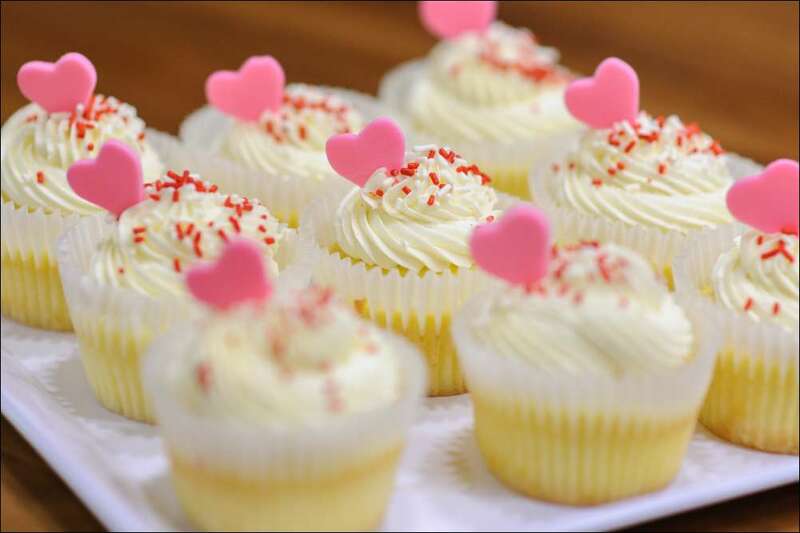 This icing is like a royal icing in that it hardens on top and seals in freshness, but stays soft in the middle and tastes great! 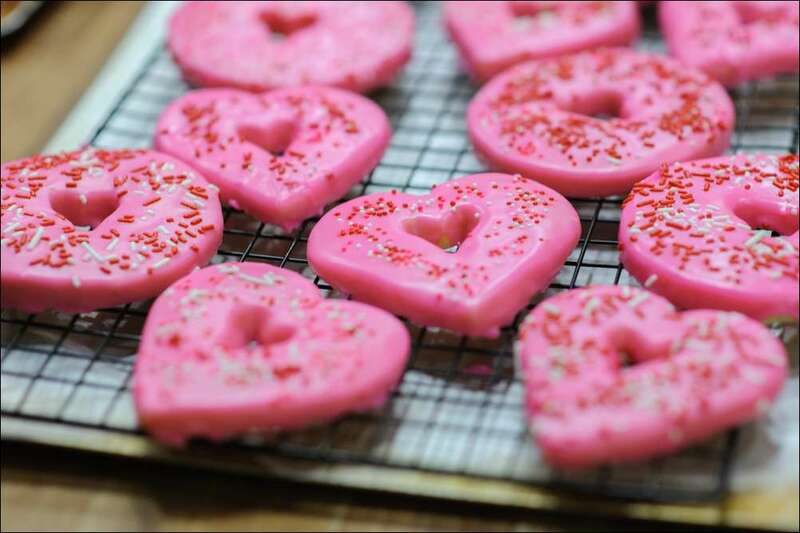 (Note the tiny indents made by hungry little fingers before they were completely dry :0). I’m going to make more for the teams with each player’s name and jersey number, then bag them up for the end of season party. 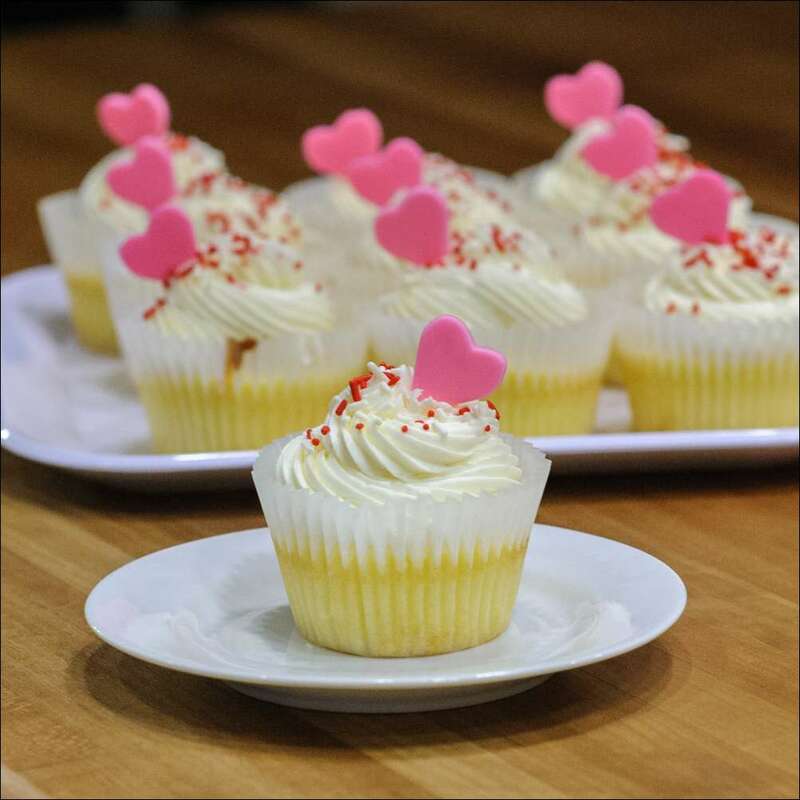 There’s nothing quite as sweet for your Sweetheart as a beautiful, velvety vanilla cupcake filled with luscious white chocolate raspberry mousse and topped with creamy white chocolate Swiss meringue buttercream! 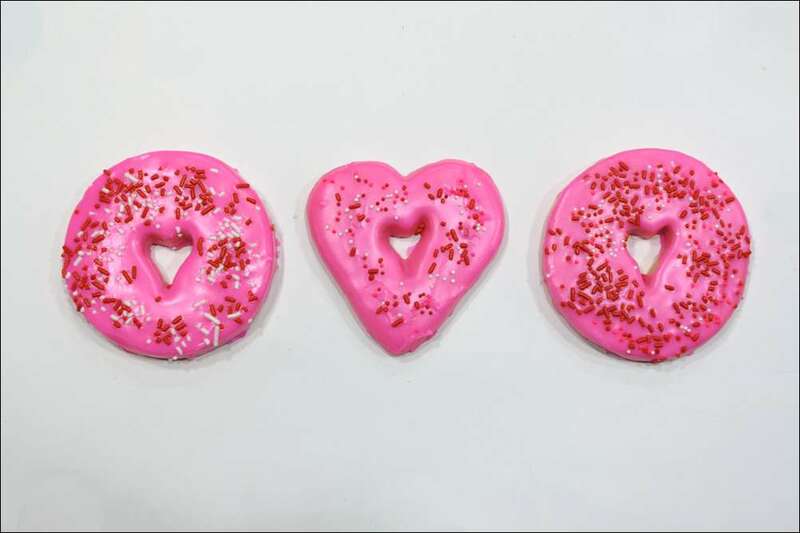 Add a dainty fondant heart and some sprinkles for the perfect way to say “I love you,” and not just on Valentine’s Day. 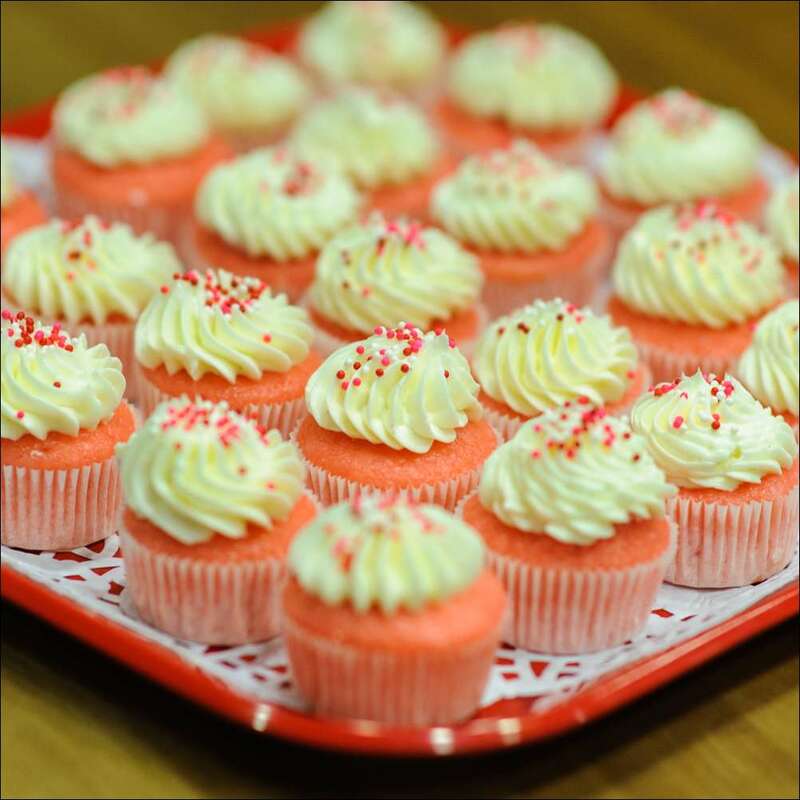 Think birthday, bridal shower, wedding…any time you want a special sweet surprise! 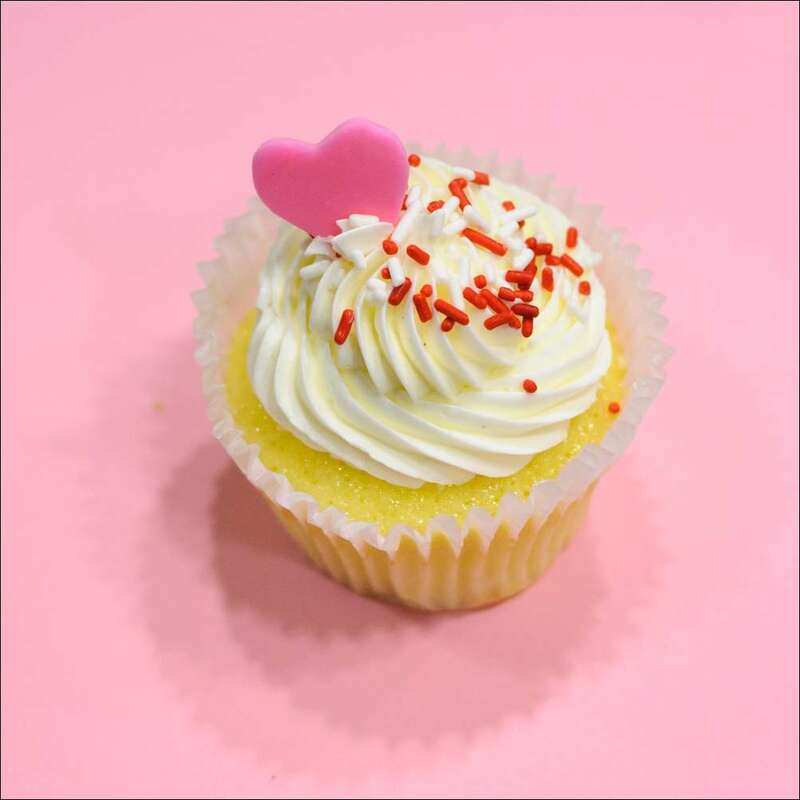 And did I mention that white chocolate raspberry is my new favorite flavor combination…But aren’t they ALL “my new favorite”? 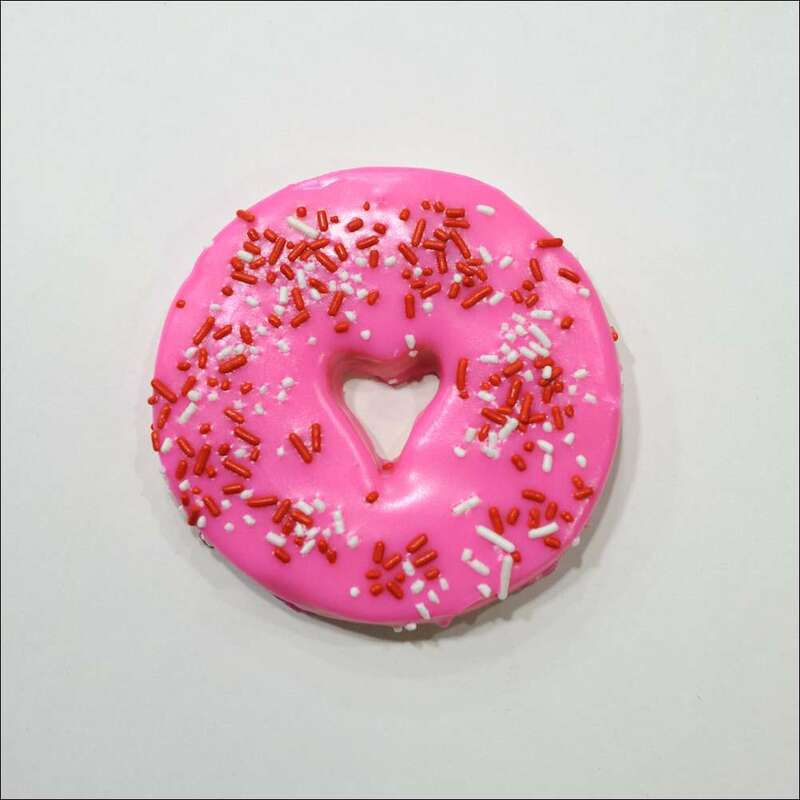 Here’s a new fun flavor for Valentine’s Day or any time you want a smile–Pink Velvet! I worked on this recipe for awhile and finally decided that a velvet cake with white chocolate and raspberries was the perfect combo. 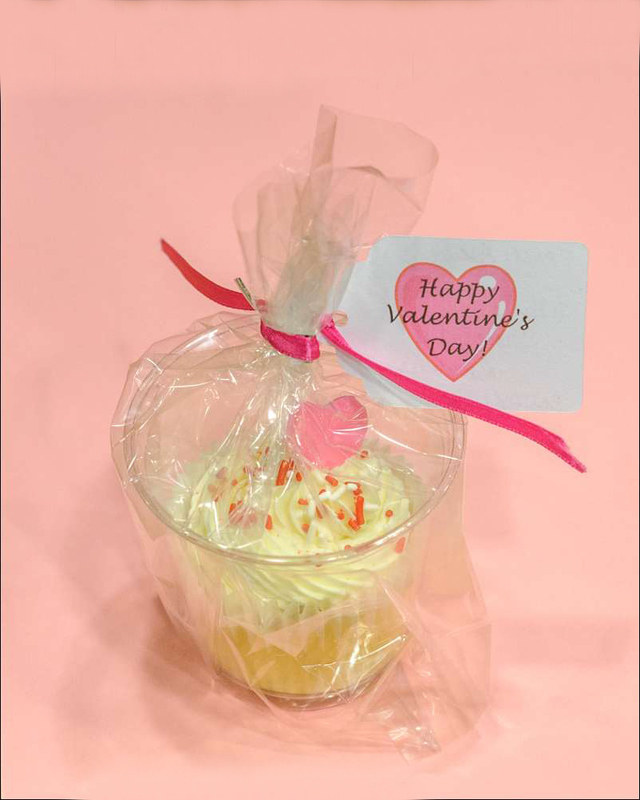 I sent these minis to school with my kids for various Valentine parties this week, so fun! 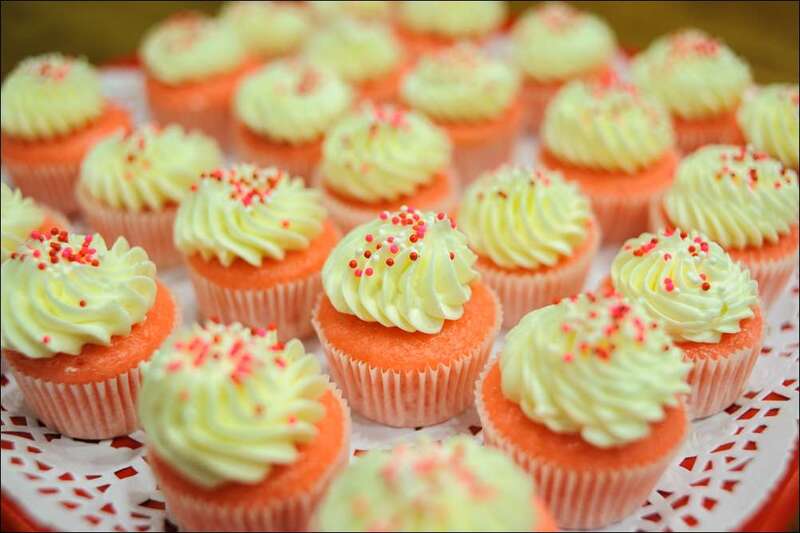 Filled with white chocolate raspberry mousse and topped with creamy princess-flavored buttercream and sprinkles (essential! 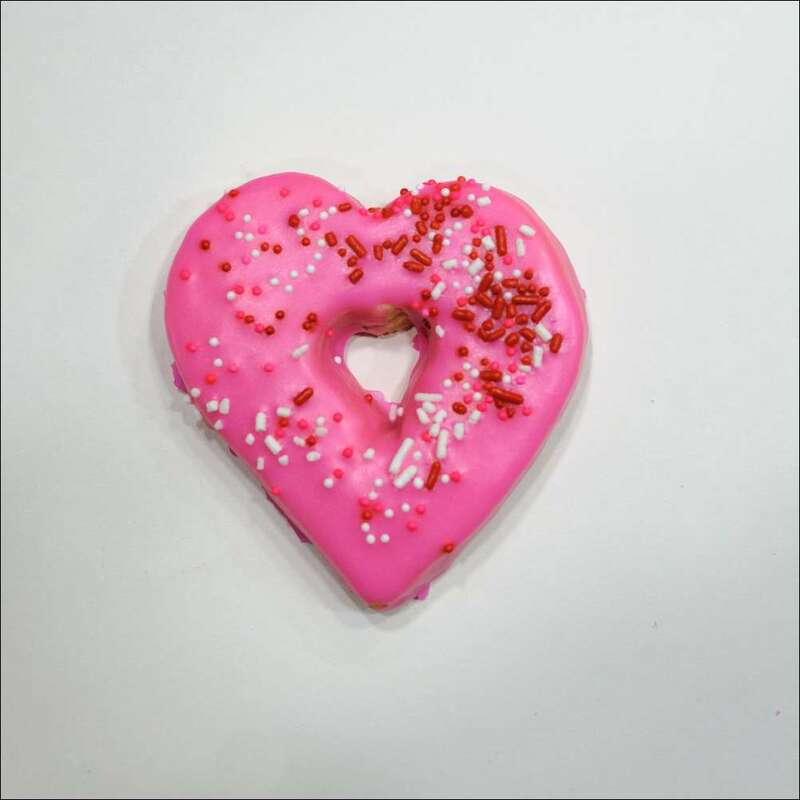 )–the kids gobbled them up! 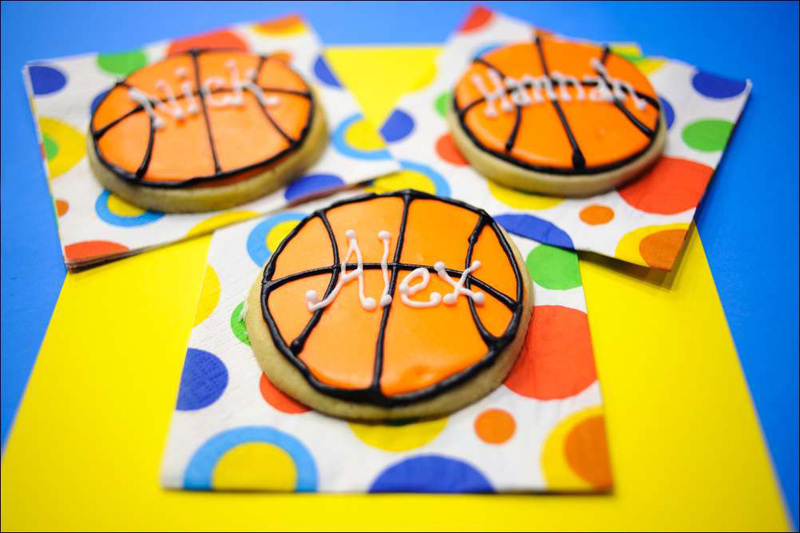 These cute cutout cookies are a rich, buttery sugar cookie topped with poured-on vanilla icing. 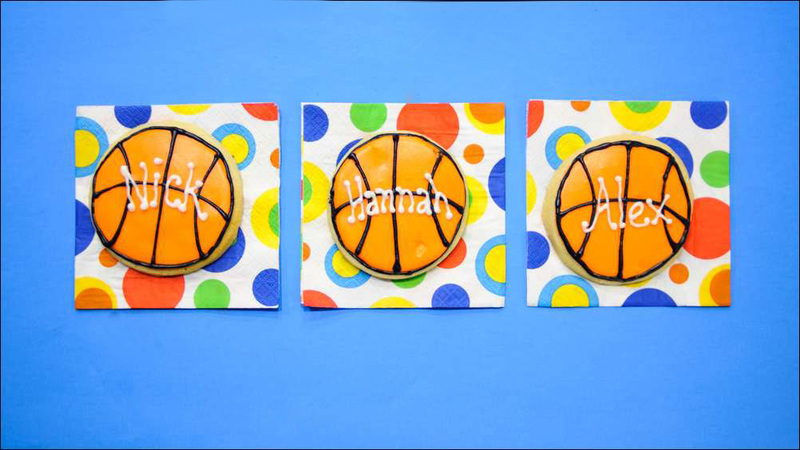 The icing not only tastes great, but–unlike buttercream–hardens in a few hours so cookies can be stacked or packaged as gifts. 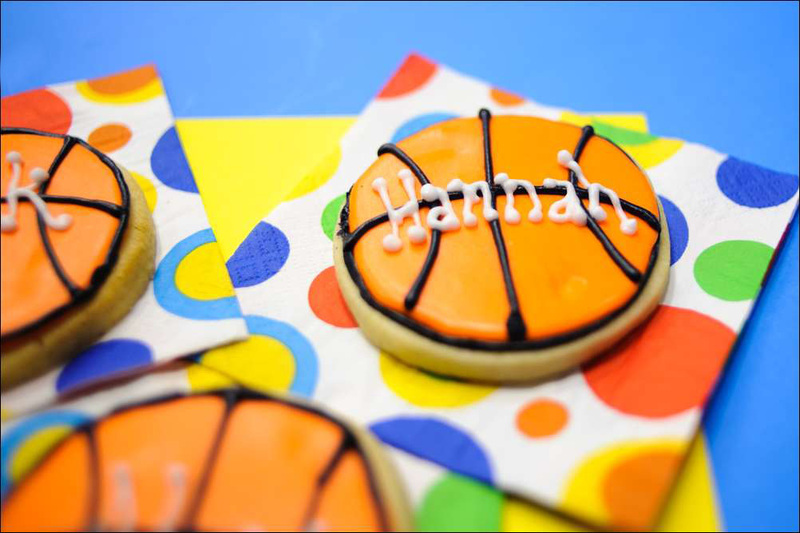 Customize your shape and color and add some sprinkles for any occasion! 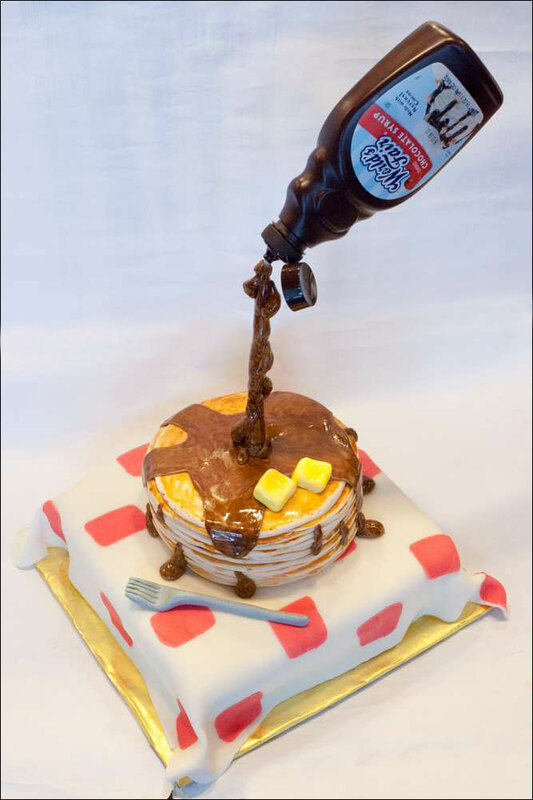 Ok, I’ll admit, this cake is a little outside of the box, even for me! 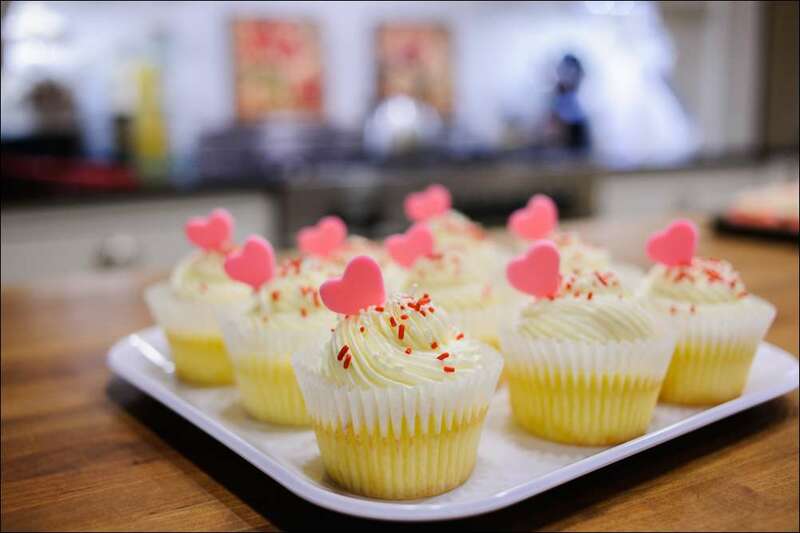 But one does occasionally get tired of baking and decorating cupcakes and yearns to use her engineering background to really “construct” a cake! 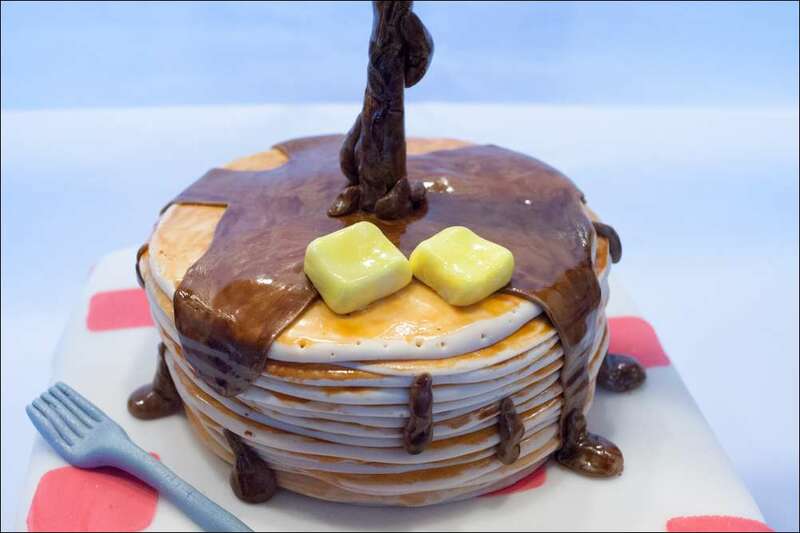 In case you’re wondering, the stack of “pancakes” is actually a 6″ diameter chocolate cake with strips of ivory colored fondant wrapped around it and painted with watered-down food coloring to look like pancakes. 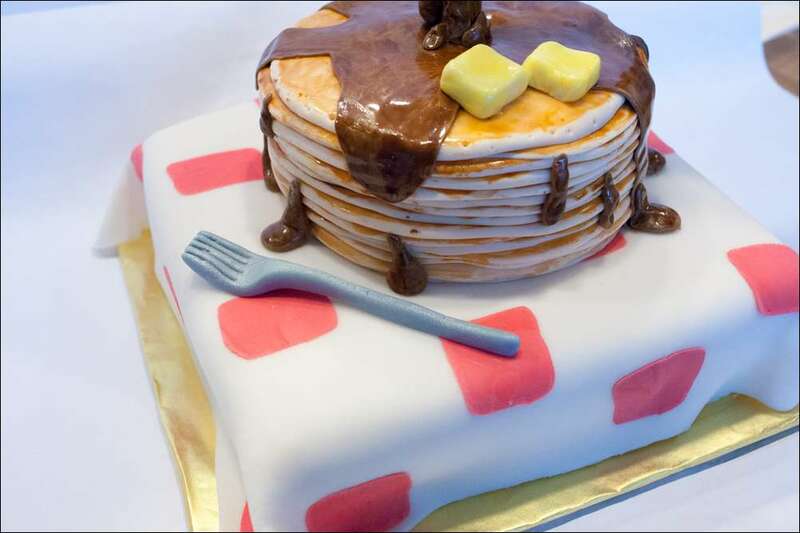 There is one big fondant pancake on top. 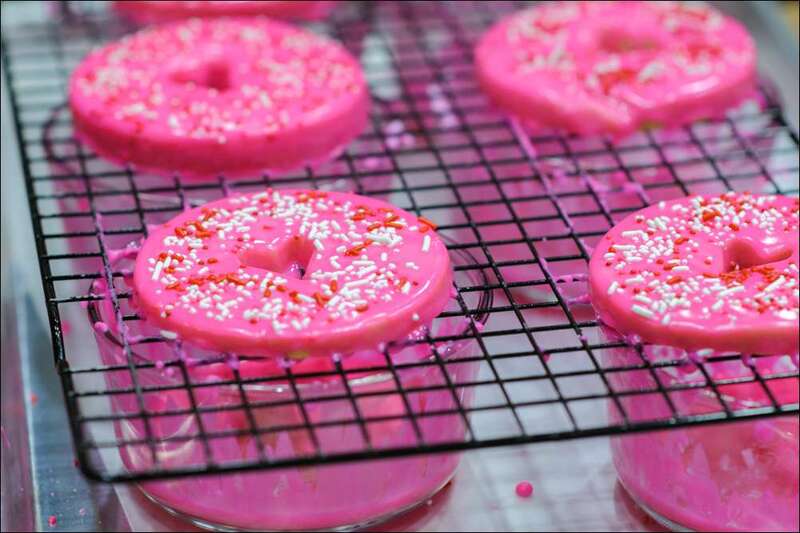 (Amazing how much fondant and food coloring look like pancakes, huh?) 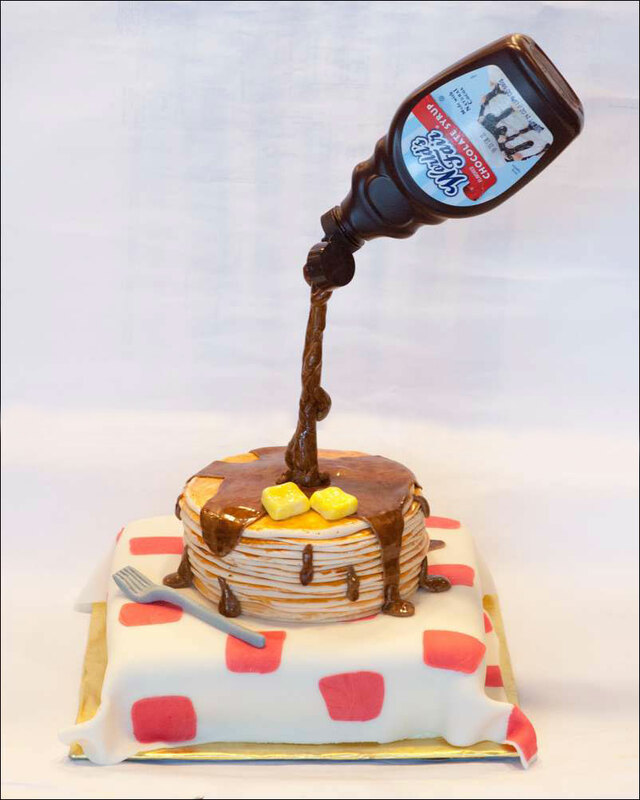 The chocolate sauce bottle is held up on a balloon stick bent at 45-degrees and covered with more brown fondant to look like chocolate syrup, with more brown fondant “dripping” down the sides. 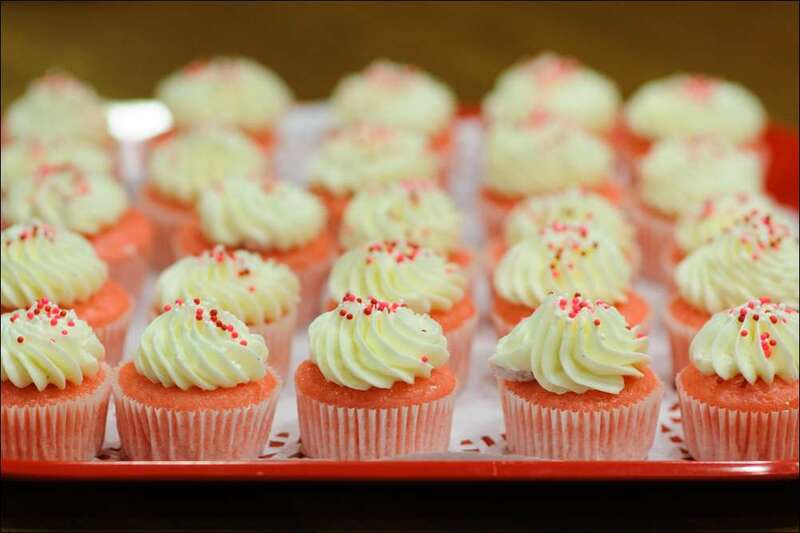 The butter is made from softened starburst and laffy taffy candies. 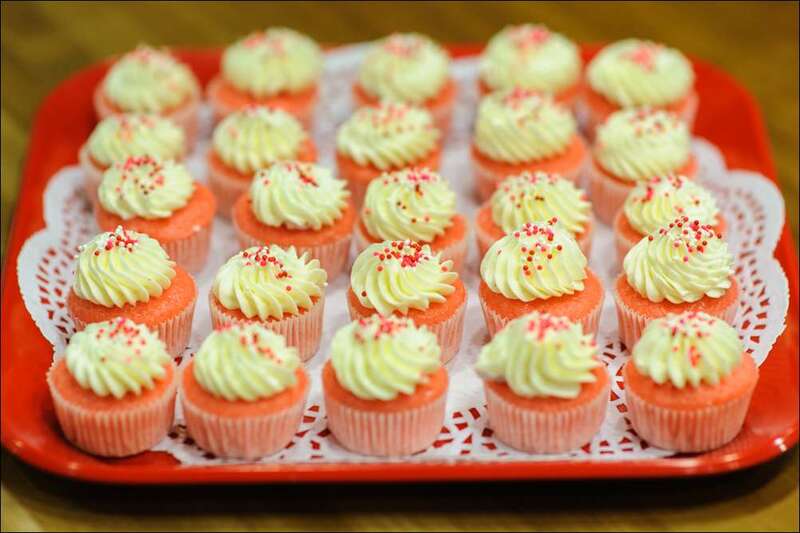 The base cake is a 10-inch square layer cake covered with fondant to look like a table cloth. 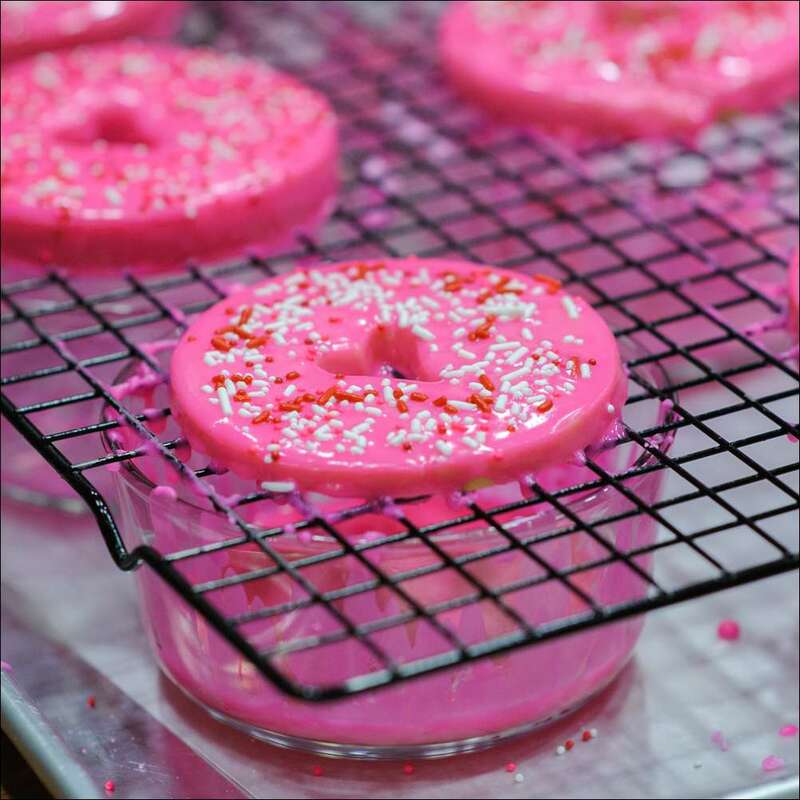 If you’re wondering where I got this idea, I must credit Ann Reardon of “How to Cook That,” a great baking blog site….she makes everything look so easy! 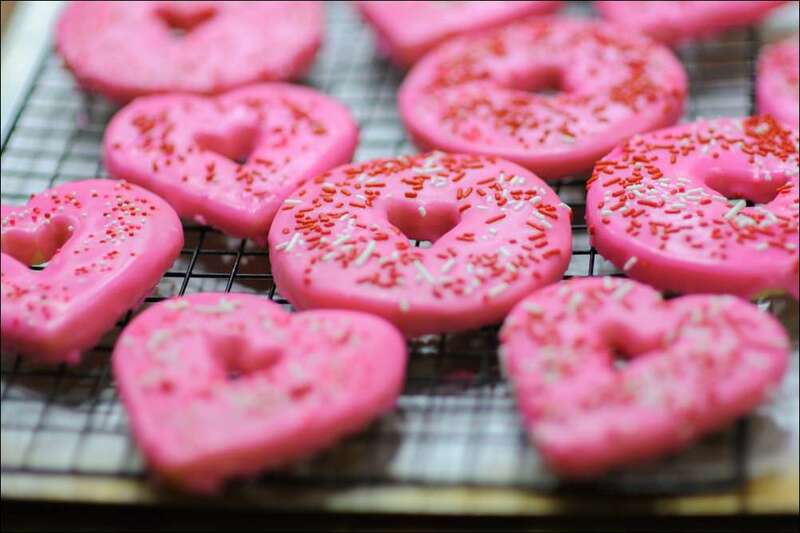 The kids did get into it and helped me bake the cakes and make and color the fondant (their favorite treat). 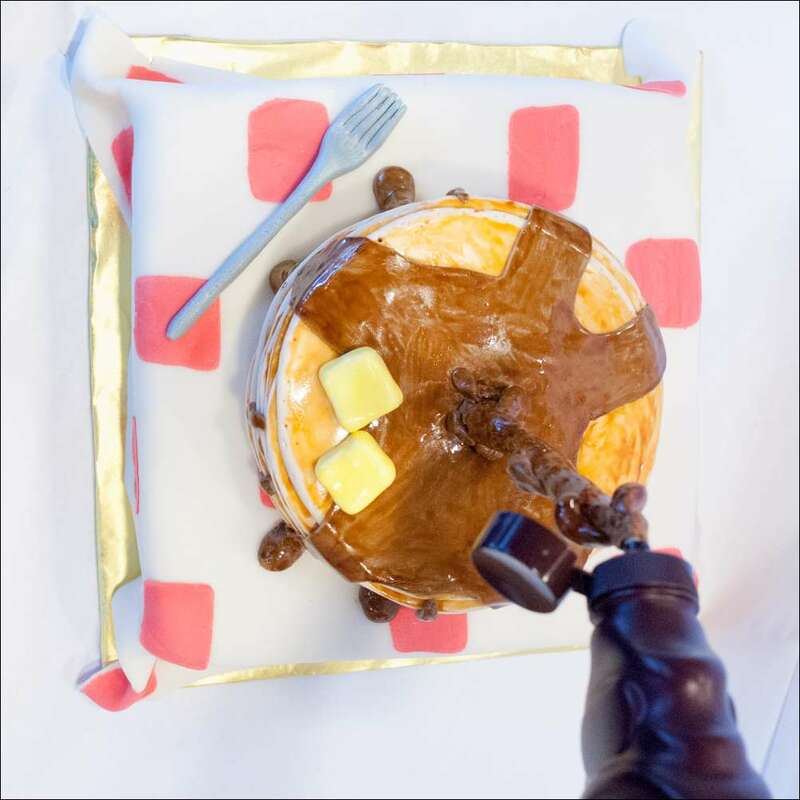 We all attempted to model a fork out of fondant (and picked the best one to be on the cake) and my little painter girl helped paint the pancake layers. It really did come out great and seems amazing if you don’t know how it’s done. The kids (and parents) at school really got a kick out of it. So very whimsical! Don’t know if I’ll make it again (unless someone wants a wacky birthday cake or something), but it was a kick to put it all together and see the final results…And it was nice to finally get to use my degree!